The city of Vaughan is known as the “City above Toronto”, being located just North of the City of Toronto, on the other side of Steeles Avenue being the barrier. Vaughan has a population of around 300,000 was the fastest growing municipality in Canada for over a decade with a population growth rate of over 79% between 1995-2005. 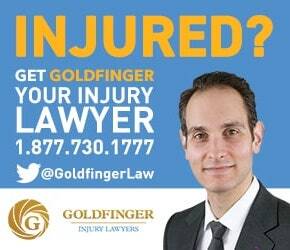 The directing lawyer of Goldfinger Law, Brian Goldfinger, was raised in the City of Vaughan. Vaughan is composed of smaller communities which are Concord, Maple, Thornhill, Maple, Kleinberg and Woodbridge. Each community has its own ethnic concentration along with its own unique character. Vaughan has endured recent political controversy. Vaughan’s long standing mayor, Lorna Jackson passed away in 2002. She was replaced by Michael DiBiase. Mr. DiBiase was defeated by incumbent, Linda Jackson, the daughter of the late Lorna Jackson. Jackson narrowly beat DiBiase by a thin margin prompting a series of recounts. An audit of Jackson’s campaign showed that she over spent on her campaign and a special prosecutor was appointed to determine whether or not Jackson ought to be charged under the Elections Act and removed from office. A subsequent review of DiBiase’s campaign also saw that he over spent on his campaign budget as well. By the time the fiasco ended, neither Jackson nor DiBiase had the electorate’s trust. Long standing Liberal Maurizio Bevliacqua was elected as mayor of Vaughan in 2010 and captured around 65% of the popular vote. That number was more than 31,000 votes more that his nearest rival. Regrettably, for personal injury accident victims, Vaughan is the largest city in Canada without a hospital. So, if you get hurt or injured in an accident in the City of Vaughan, the closest hospital for treatment will be in the City of Toronto at North York General, Sunnybrook Hospital, Humber River Hospital, or in Richmond Hill at York Central Hospital, or in Newmarket at South Lake Hospital. It’s rather unfortunate that residents of the City of Vaughan need to travel so far for care which they need. But, there’s hope. The government has announced that the City of Vaughan has been earmarked for a new hospital with construction set to begin in 2014 or perhaps earlier. But knowing how government works, the building of the hospital will likely come later than sooner. Either way, residents of Vaughan are excited to finally have a hospital to call their own. Goldfinger Law is a strong supporter of the building of a new hospital in the City of Vaughan. One of the busiest and most dangerous intersections in Ontario for car accidents is located on the border of Vaughan and Toronto at Bathurst and Steeles. Each year, this intersection makes the Toronto Star’s notorious list of most dangerous intersections in Toronto for car accidents and pedestrian accidents. Vaughan does not have its own Superior Court of Justice for car accidents. The nearest court house for personal injury lawyers for car accident cases in Vaughan is in Newmarket on Eagle Street. Newmarket’s Court House is to encompass all of York Region, which the City of Vaughan is a part of. Bike riders and cyclists should watch out as Vaughan does not have a very comprehensive on road bike lane system. Cars and bikes share busy stretches of road which have few bike lanes, which can lead to bike/car accidents which will require the assistance of a personal injury lawyer. The City of Vaughan is minutes away from the head office of Goldfinger Law. At any time, a personal injury lawyer from Goldfinger Law will attend at your home to visit you if you’re too hurt to attend at our office for a consultation.